On a picture-perfect New Year's Day in front of 76,126 at Notre Dame Stadium in South Bend, IN, the National Hockey League's 11th Annual Classic matched two Original Six franchises. 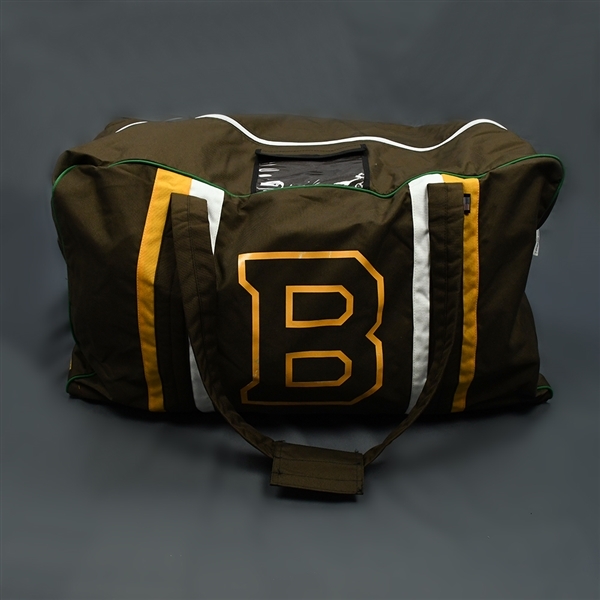 The Boston Bruins defeated the Chicago Blackhawks, 4-2, in the 2019 Bridgestone NHL Winter Classic. 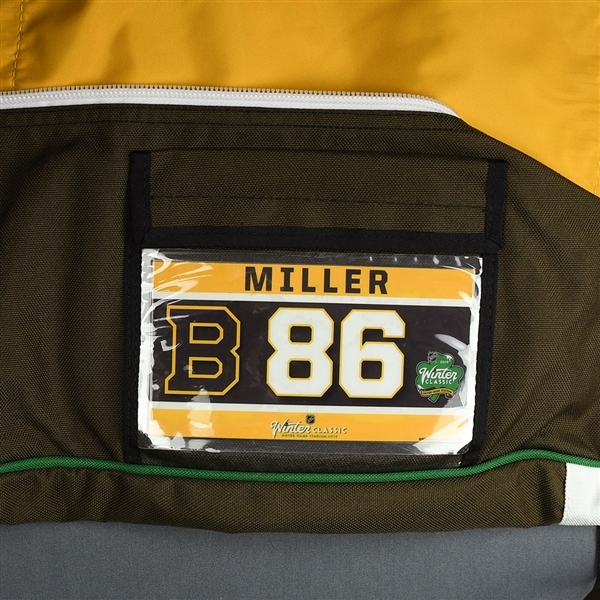 The NHL-MeiGray Group Game-Worn Jersey Authentication Program is proud to offer fans and collectors across the globe the opportunity to own a piece of history…the actual equipment bag used by #86 Kevan Miller of the Boston Bruins during all 2019 NHL Winter Classic festivities in South Bend. 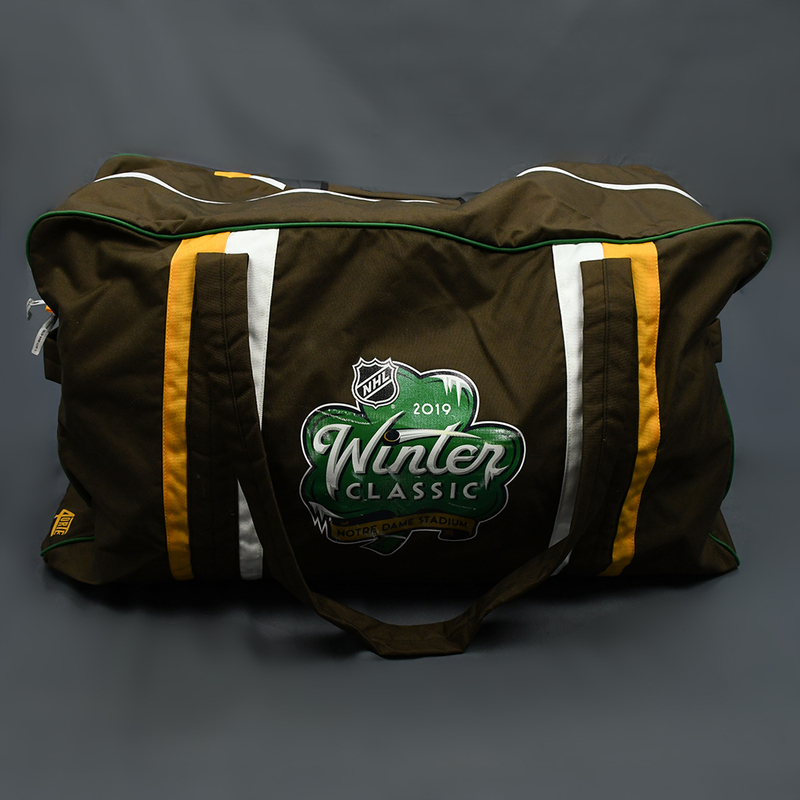 This equipment bag is registered into the NHL-MeiGray Game-Worn Jersey Authentication Program as number MGA13312. Auction closed on Wednesday, February 13, 2019.